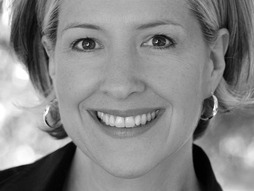 Brené Brown studies vulnerability, courage, authenticity, and shame. Brown is a research professor at the University of Houston Graduate College of Social Work. She has spent the past ten years studying vulnerability, courage, authenticity, and shame. WATERLOO  Wilfrid Laurier University has announced that a new contract has been approved by the university’s Board of Governors and ratified by members of the Wilfrid Laurier University Faculty Association (WLUFA). “I would like to recognize the time and effort put forth by all parties in reaching this settlement,” said Max Blouw, president and vice-chancellor of Wilfrid Laurier University. Waterloo Region - Waterloo Regional Police have issued an alert to the community to review their home security measures and consider additional safeguards for their valuables. In recent weeks, police have investigated numerous residential break and enter incidents within Waterloo Region and found that these homes had been targeted for collections of high carat gold and other valuables. Kitchener - A team of four Conestoga accounting students is $2,500 richer after finishing second in the college's debut performance at the CMA (Certified Management Accountants) Case Competition. David Lee, Adam Edward Oliver, Monica Pawelec and Darren Rennie, all second-year students in the college's Accounting, Audit, and Information Technology program, made up the first team to ever represent Conestoga at the seventh annual event. Cambridge - The City of Cambridge and technology partners at IBM and Research In Motion have unveiled a first of a kind system that will arm City staff with the tools they need to enhance Asset Management and related business processes for the municipality. Waterloo - The Legendary Hockey Heroes will be coming to Kitchener/Waterloo for the Oldtimers’ Hockey Challenge taking place 7pm, Wednesday, March 28, 2012 at the Sunlife Arena  Waterloo Memorial Recreation Centre. Hamilton - Members of community-based environmental groups can trade experiences and learn new ideas at a one-day workshop to be held in Ancaster on March 31. The workshop, called Sharing Experiences, is open to residents and groups from the Grand River watershed and is sponsored by the GRCA, along with other conservation authorities and stewardship councils in the Greater Golden Horseshoe area. Toronto - Manulife Mutual Funds has announced that the Manulife Global Infrastructure Fund will change its distribution policy from an annual basis to a fixed quarterly distribution targeted to be 1.6% per year. The first distribution payment is scheduled for the end of June 2012. London - Biophysics professors at Western University have developed a CT (Computed Tomography) scanner small enough to sit on a desk. Jerry Battista, Chair of the Department of Medical Biophysics at the Schulich School of Medicine & Dentistry and Kevin Jordan of the London Regional Cancer Program at London Health Sciences Centre invented the DeskCAT Multi-slice CT Scanner as a novel and interactive way to teach CT imaging techniques to a wide range of students. DeskCAT is now being manufactured, and distributed to other universities by Modus Medical Devices in London, Ontario. London - Watch Britney Spears perform and you can see how she developed musculoskeletal injuries. But how did her acrobatics affect her vocal performance? It is well known that participation in sports requires proper warm-ups and specific attention to technique and pacing to avoid injury. But most people don't transfer that approach to singing or playing an instrument and as a result, many develop injuries. Poisoning is a Major Cause of Death from Injury in the U.S.
Washington  The Environmental Protection Agency is joining forces with its federal partners to raise awareness of the dangers of poisoning, especially to children, during National Poison Prevention Week, March 18-24. In just the past year, America’s 57 poison control centers fielded 4 million calls, treating 2.4 million human poison exposures and handling 1.6 million information calls.